Obesity can lead to many serious diseases including diabetes, musculoskeletal problems, liver disease, and breathing problems. If you are concerned about your pets weight, our vets can assess your animal using a ‘Body Condition Score’ system. This system looks at aspects such as how easily ribs can be felt and the outline of the waist. 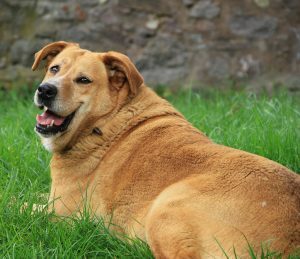 If your pet is found to be overweight, our vets can provide you with the tools and information to get them back to a healthy weight. We can even provide a monthly ‘weigh-in’ service to help monitor progress. If your pet is still not improving, our vets will then investigate for underlying diseases, such as hypothyroidism, that might be preventing weight loss.